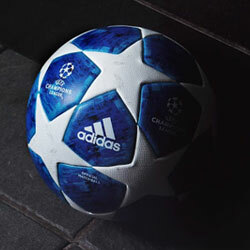 If you're of a certain (older) age, the Stylo Matchmakers name will start to ring off a few nostalgic bells. As one of the greatest footballers to have ever graced a football pitch, George Best offered the Stylo brand no greater endorsement. 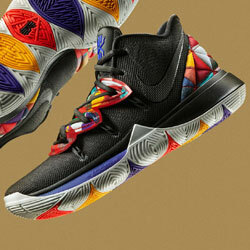 The dashing, understated stripe across the boot was befitting of a player who oozed effortless style and quality. 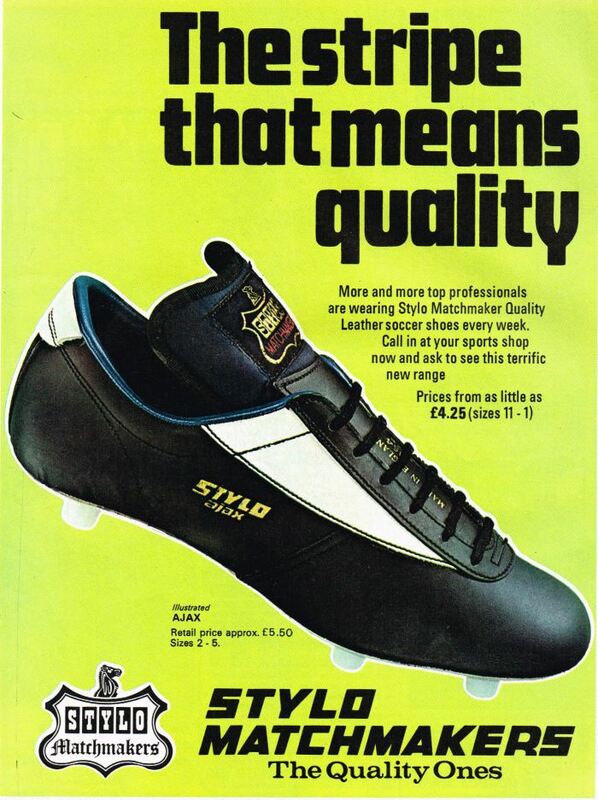 For those of you with youth on your side, the Stylo Matchmakers may be a completely new name to your footballing vocabulary. Fear not, we won't dwell on the past here. The recently released Heirship Seventeen model offers a new take on the traditional touch. Young or old, this is fresh stuff for us all. Let's take a closer look. 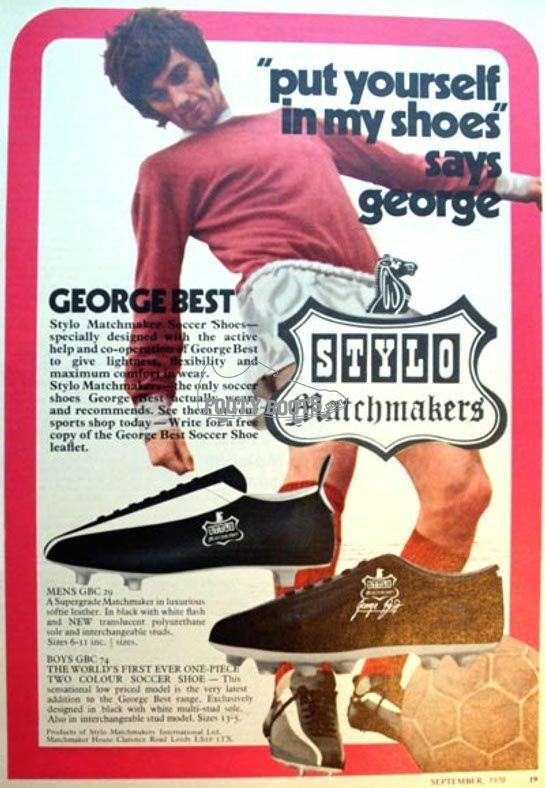 In days gone by, the Stylo Matchmakers adverts came with the slogan 'the stripe that means quality'. Fast forward to 2017 and the new Heirship Seventeen maintains those fundamental principles. Presented in an exquisitely finished box, the Heirship Seventeen makes a strong first impression. The boots inside are perfectly placed in a cushioned silhouette - highlighting the bold outline that this design presents. Out of the box, the Matchmakers Heirship Seventeen makes a lasting impression. 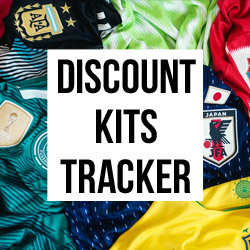 You can tell from the outset this traditional brand has fused their unmistakable style, with technology that will hold up on the fast-paced modern day football pitch. 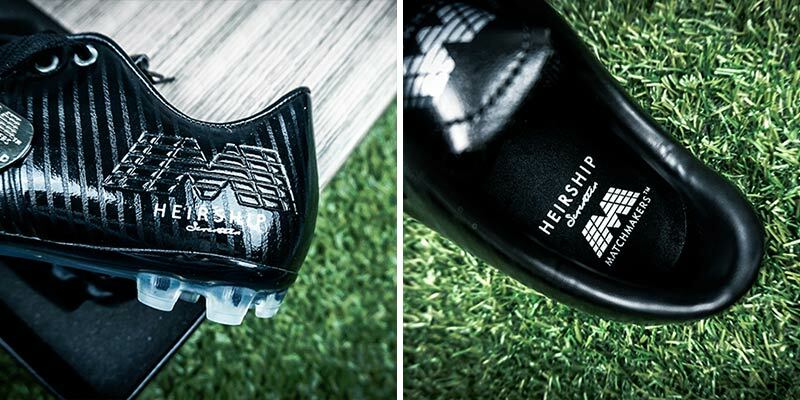 Like any modern boot - the Heirship Seventeen offers soleplates for three different surfaces - hard ground, soft ground and artificial (3G) - as seen below. 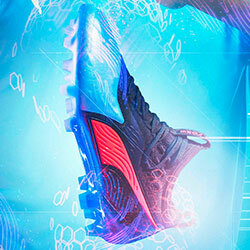 Perhaps the most obvious technological feature can be seen on the upper of the boot. 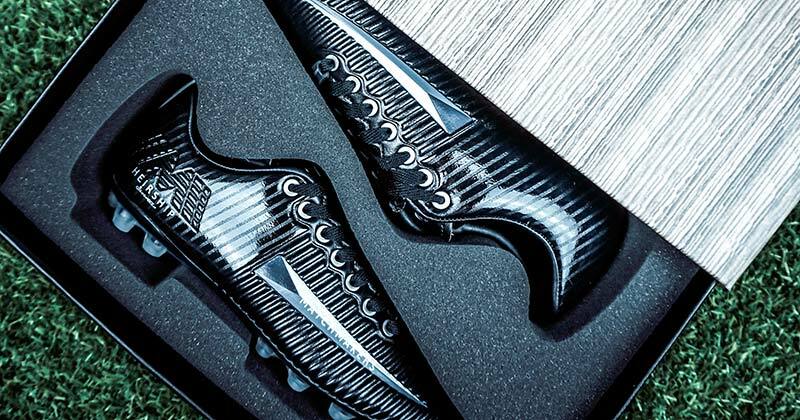 Highest grade Japanese super microfibre upper mesh is fused with a precision touch texture vent, to ensure high levels of accuracy and game-changing precision when in control of the ball. 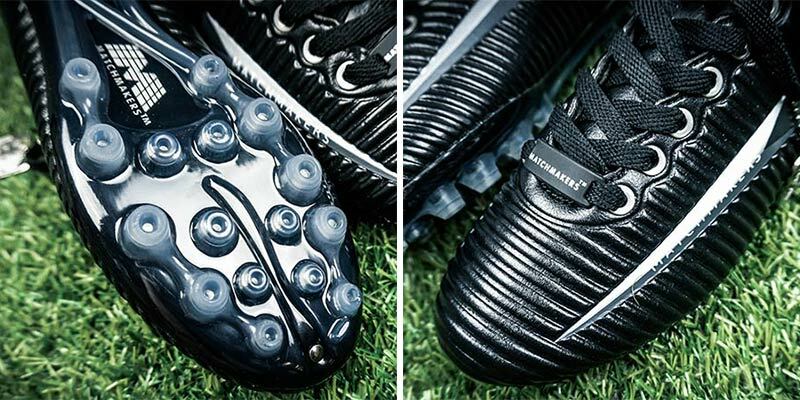 In addition, the upper of the boot is coated with a weather resistant finish - meaning consistency across the pitch come rain or shine. No excuses! 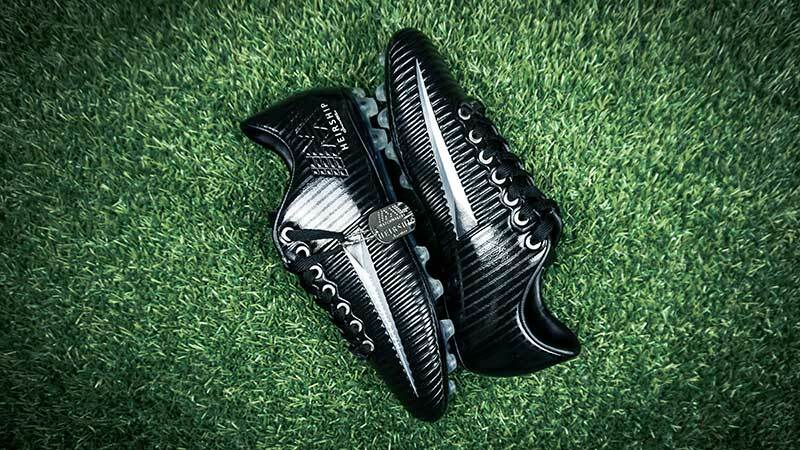 No matter how good a football boot may look - comfort is key. The Heirship Seventeen seeks to tick this box off with aplomb. A new Oxcited™ breathable insole offers comfort inside and outside - while the lightweight build creates further freshness with every step. Despite having strong old-school vibes, the Heirship Seventeen is the product of extensive modern day technology and research - and it certainly shows. The Heirship Seventeen's design is rounded off nicely with the Stylo Matchmakers branding. Embossed towards the back of the boot and highlighted within the boots interior - the Matchmakers logo is a sure sign of heritage and quality. 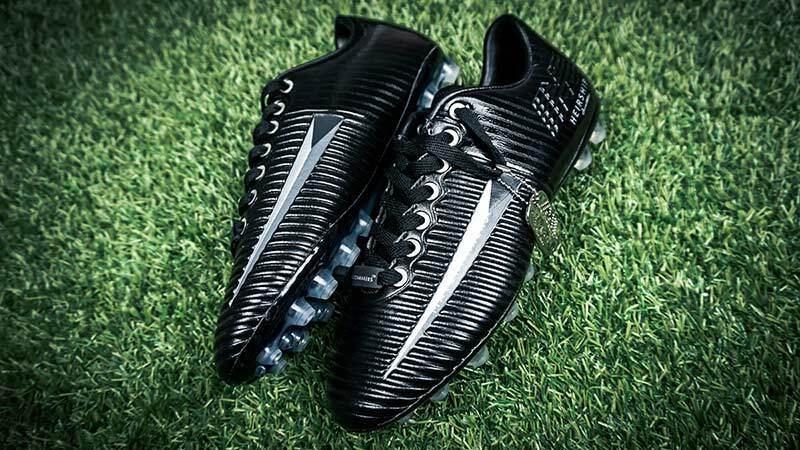 In a market where the football pitch becomes a spectrum of different colours and obscure designs - the refreshing black boldness of the Stylo Matchmakers Heirship Seventeen is a welcome addition back onto the football pitch. 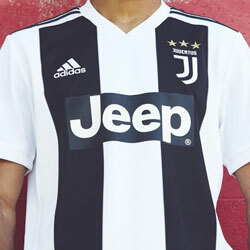 Get yours while you still can, style like this won't wait for everybody.